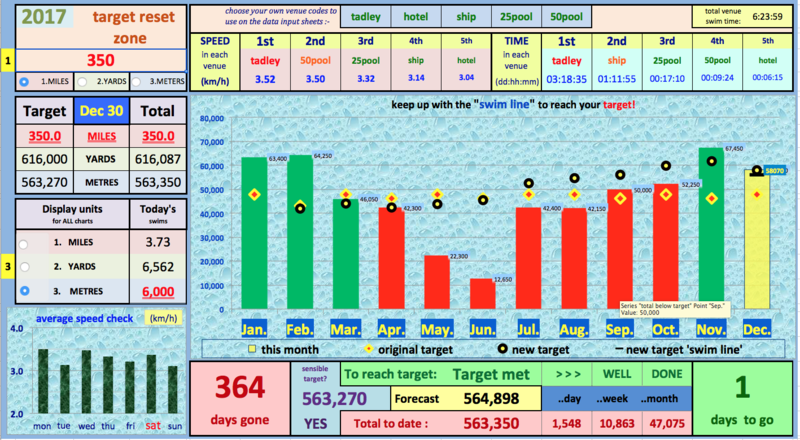 Its not too late to start recording your swims and reach for a target by the end of the year. Many FLOG it. However I am very happy for you to share my Excel spreadsheet. It works on all mac & pc machines and mobile devices that you can load a copy of Excel. I use it on iPhones and iPads (using Excel for iPad - free) when I am out and about and on iMac and PC at home (- Excel 2013 not free). They all share the same file too!